1,646 people read this post. During the course of this year, Malawi had declared a state of disaster over worsening food shortages. Malawi’s maize production had dropped by 12 percent. 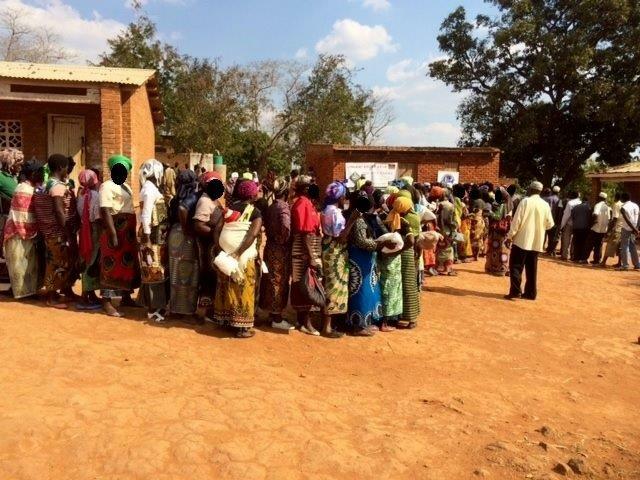 About 2.8 million Malawians – nearly 20 per cent of the population – face food insecurity. 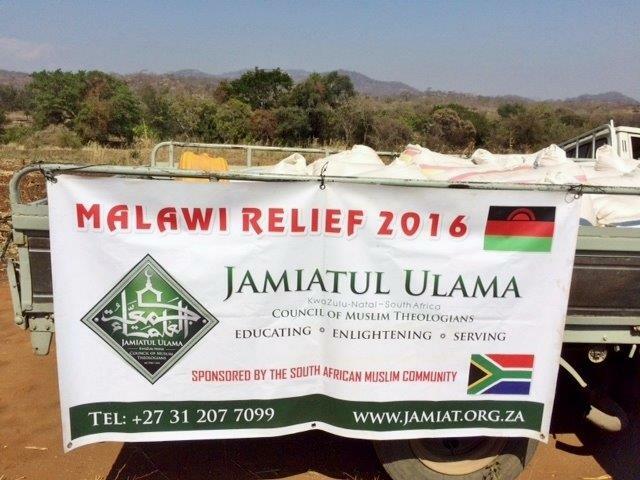 In light of the above the Jamiatul Ulama KZN undertook a hunger relief aid project to distribute much needed maize in Malawi to rural villages far inland within Malawi which are generally not reached by other foreign NGO’s. 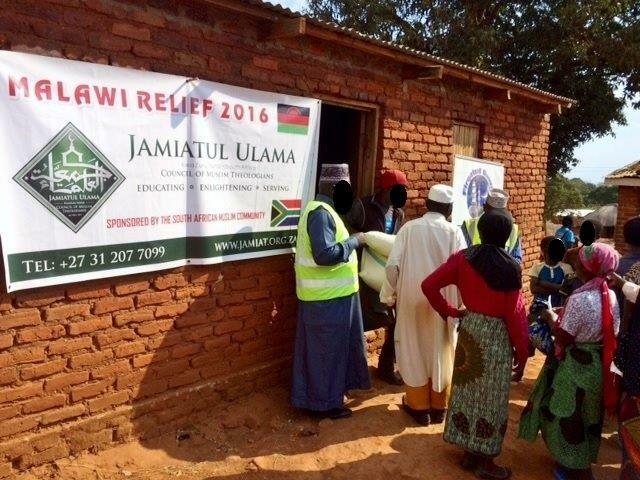 The Jamiat KZN Relief Team immediately began its distribution upon its arrival in Malawi on September 05th 2016. 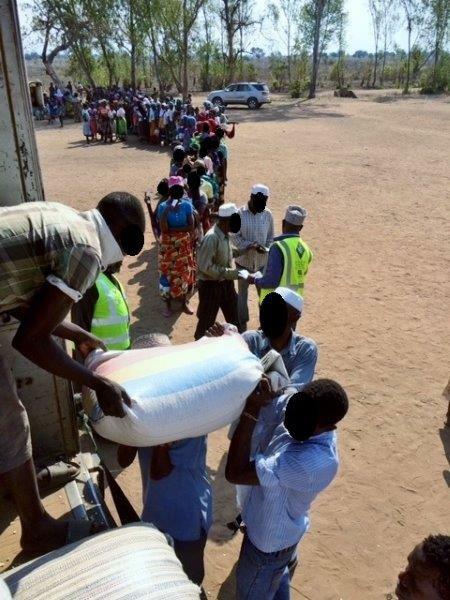 Deep in the district of Chikwawa located in the Southern Region of Malawi on the west bank of the Shire River at a rural village called Matimati close to the Mozambican border over 10 tons of maize was distributed assisting over 400 families with hunger relief aid. 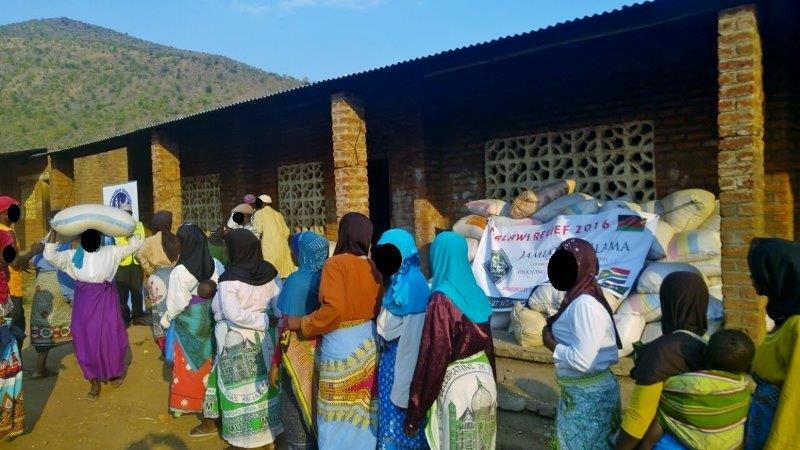 The first distribution was far within the Zomba district also located in the Southern Region of Malawi in the Shire Highlands at a village called Chinsewu where over 7.5 tons of maize was distributed assisting over 300 families with hunger relief aid. 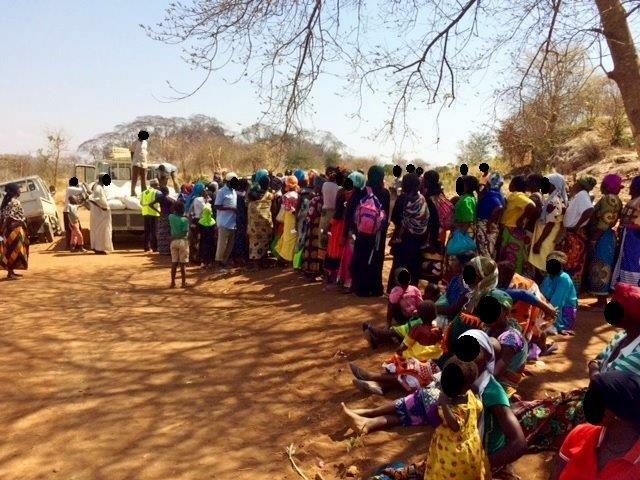 The second distribution was undertaken at a village called Kachenga far within the district of Balaka also located in the Southern Region of Malawi where over 7.5 tons of maize was distributed helping over 300 families with hunger relief aid. 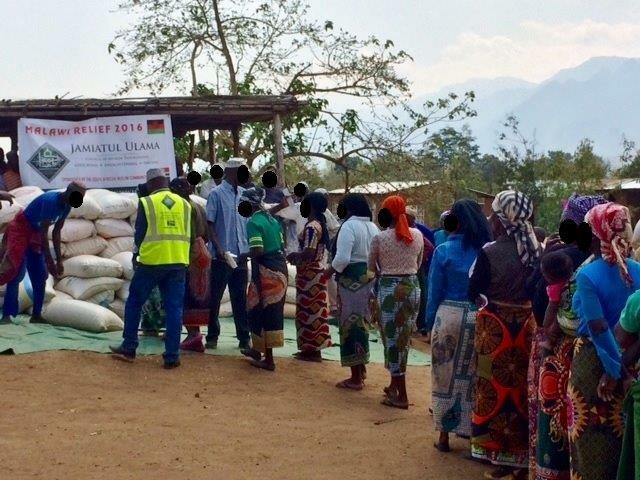 The first was completed far inland of the greater Mangochi District located near the southern end of Lake Malawi at the rural village of Mapata where almost 4 tons of maize was distributed assisting over 200 families with hunger relief aid. The second distribution took place at a village called Mbanda far within the district of Malindi where over 4 tons of maize was distributed assisting over 200 families with hunger relief aid. The third and final distribution was undertaken at a village called Chowe located at the top of a mountain, which was only accessible via a gravel mountain pass road. The Jamiat KZN Relief Team was warmly welcomed by the entire village and the main village chief. Over 5 tons of maize was distributed assisting almost 300 families. 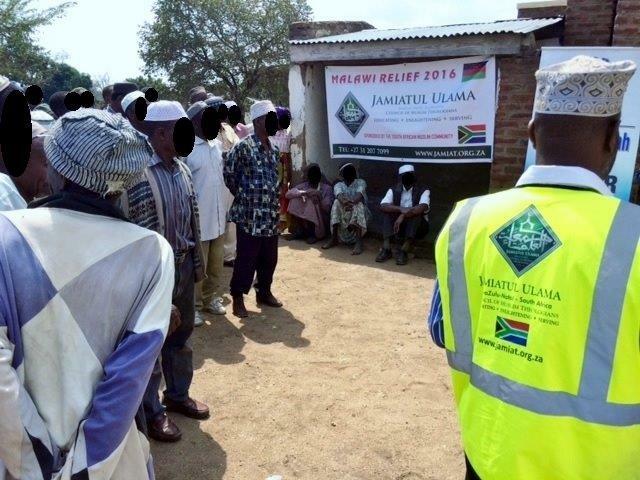 The Jamiat KZN Relief Team undertook an in loco inspection of an Islamic Centre in the Zomba district at a village called Abdullah (Kadya) which accommodates 65 male students studying Hifz, a maktab teacher training course, Pre-Aalim and 1st year Aalim course along with secular schooling. 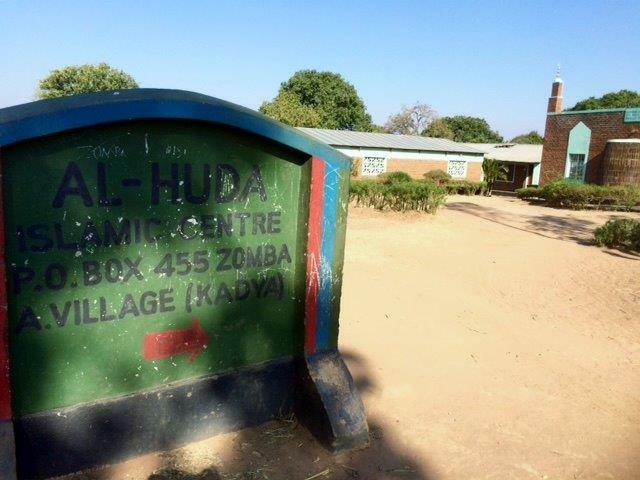 The centre has a musjid, classrooms, a kitchen and a hostel. The students are fed three meals a day. The Jamiat KZN Relief Team found it heart-warming to see the hifz students making use of the Jamiat KZN Qurans that were previously distributed in Malawi during our ‘Qurans for Africa Project’. 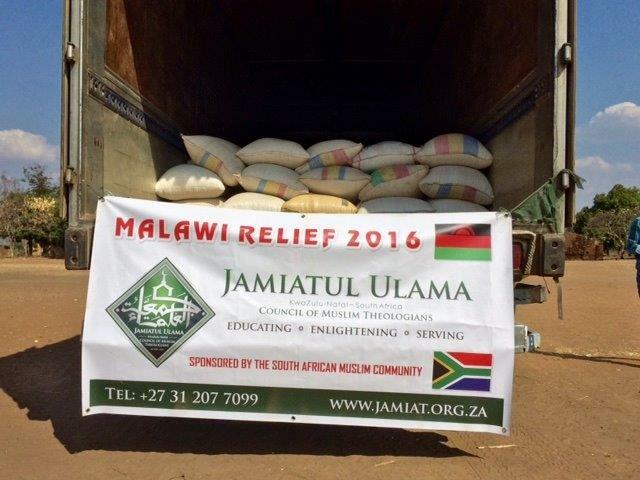 The Jamiat KZN Relief Team sponsored a month’s supply of food to the centre. In total, approximately 40,000 kgs of maize was distributed assisting over 1700 families. 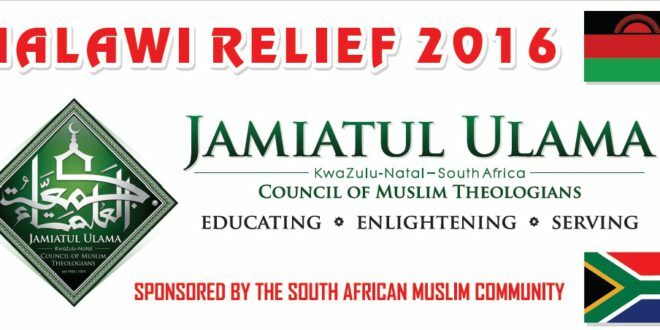 The Jamiat KZN Relief Team covered a distance of over 650km during the entire distribution, most of which was over rough terrain. May Allah Ta’ala remove all the difficulties of our Muslim brethren in Malawi and all over the world. Aameen.